There are an infinite number of natural flowers, roots, and plants that can be used in herbal teas.These teas can be used for everything from headache relief to treating insomnia, and even to act as complementary treatments for people undergoing conventional cancer treatments. The following is a partial list of herbal tea remedies used to treat anxiety, nervousness, and sleeplessness. Roman and German chamomiles have similar appearances and uses. This aromatic, herbal tea is produced by using only the fresh or dried flowers. The tea has a soothing and mildly sedative effect which helps people relax after or even during a hectic day. It can aid a good night’s sleep. Chamomile is very safe to use, even for small children. This is a refreshing herbal tea that can be tried by anyone seeking its calming effects. Referred to as a nervine tonic, it is special because it soothes the entire nervous system but also stimulates the heart simultaneously. Lemon balm leaves and flowers can be steeped up to 15 minutes to release their lemony flavor. It can be served hot or cold. This herbal tea will also help to produce restful sleep and can even soothe a headache. Linden tea is popular in parts of Europe for its floral scent and sweet flavor. 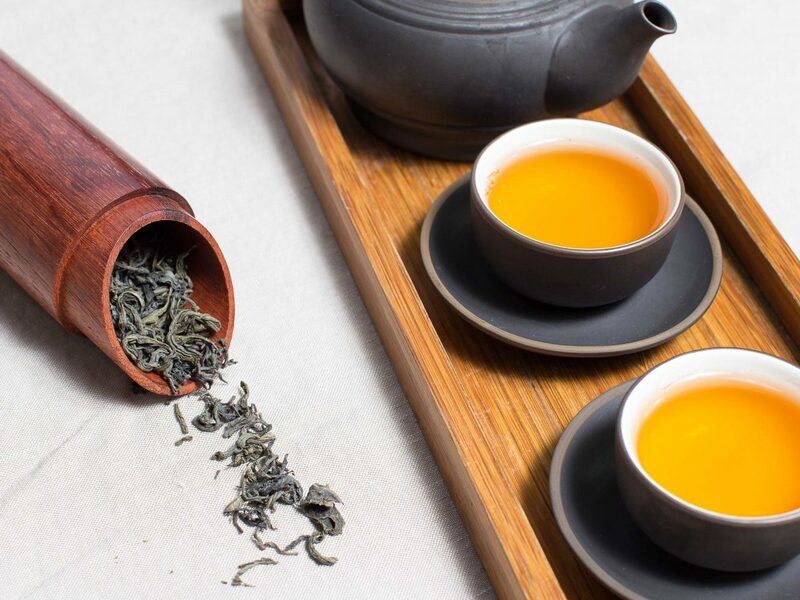 In many regions, a tea made of its flowers and leaves is an old household remedy for nervousness, anxiety, sleeplessness, headaches, and even indigestion. A mild sedative, this particular species of passionflower produces a tea that calms nervousness and anxiety, aiding restful sleep. It is generally considered safe to use, but should be avoided by women who are expecting. Motherwort produces another herbal tea that can be used to calm the nervous system. As the common name might indicate, the plant offers relief to certain women’s issues like PMS, menstrual pain, and delayed menstruation. Ironically, it is not safe for pregnant and/or nursing women. Blue vervain has a tranquilizing effect that has been useful for calming nervous conditions and offering relief from insomnia. Vervain is also useful for nervousness and sleeplessness as well, although to a lesser degree. Once again: do not make these herbal teas too strong, consume in excess, consume over a long period of time, or use while pregnant. Generally, use one teaspoon of dried herb or three tablespoons of freshly crushed herb per cup of boiling water. Pour boiling water over the herb leaves or flowers and steep for 5 to 10 minutes. 5 minutes is usually sufficient. Steeping tea too long can ruin a delicate flavor, creating bitterness. Many of these herbal teas can also be consumed cold or made as iced teas. Keep in mind that although the general rule applies to most teas, certain herbs have different preparation methods and steeping times. Chamomile and linden flowers should not be steeped more than 3 to 4 minutes. Dried herbs should be kept in airtight containers that do not allow light to enter and degrade the essence.